Moto Ain CRT took everyone by surprise, firstly by recruiting Moto3 rider Alexis Masbou to race his first Bol d’Or and then by steadily advancing, as the hours went by, from 31st on the starting grid to 6th at the finish. 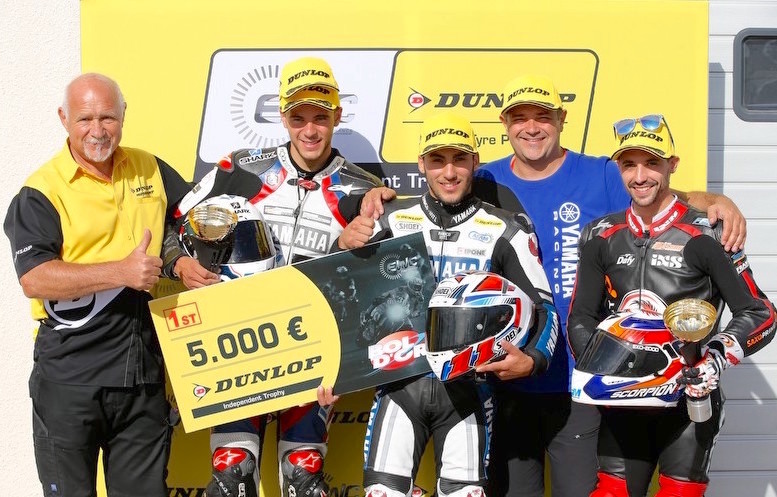 Riders Hugo Clere, Alexis Masbou and Johan Nigon ran a flawless race in the saddle of Moto Ain CRT’s Dunlop-shod Yamaha, finishing right behind the top teams. Starting from 15th on the grid, Tati Team Beaujolais Racing led the Superstock class and was the top EWC Dunlop Independent Trophy contender early in the race, but Julien Enjolras, Dylan Buisson and Anthony Violland were subsequently slowed down by a seized wheel axle. 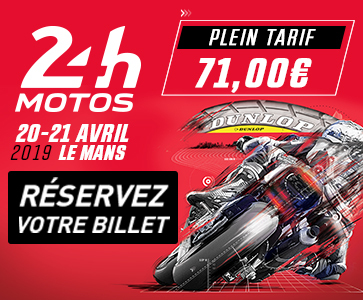 Tati Team Beaujolais Racing finished seventh, netting itself a €4,200 EWC Dunlop Independent Trophy prize and a 2nd place in Superstock at the Bol d’Or. 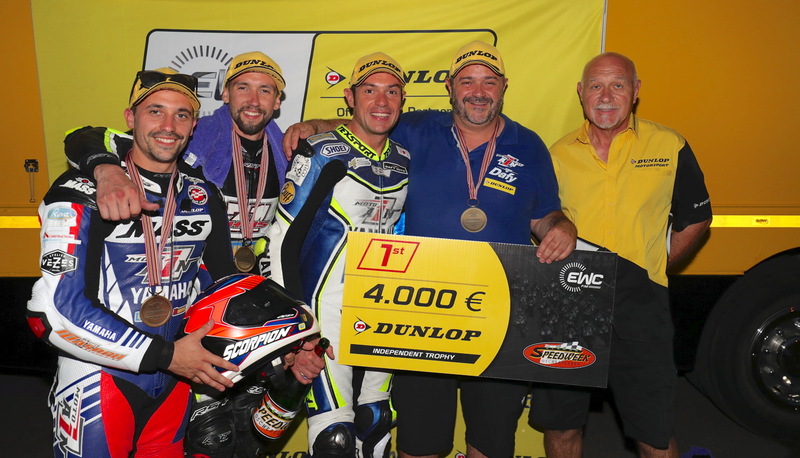 Völpker NRT48 Schubert Motors rounded off the EWC Dunlop Independent Trophy podium at the Bol d’Or, earning €3,700 in prize money. Florian Galotte, Christopher Kemmer and Christof Höfer rode the German team’s BMW, which finished 10th overall at the Bol d’Or. 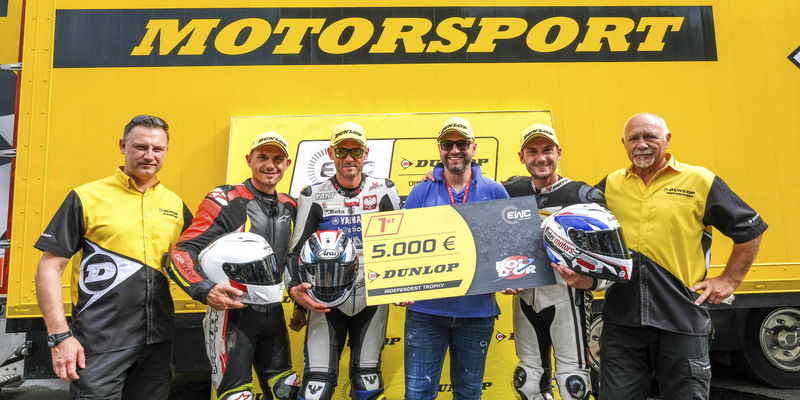 The other teams awarded a prize purse at the Bol d’Or were Racing Team Sarazin, RAC 41, Cottard Moto, Zuff Racing Team, Girls Racing Team, TipTopTeam 56 and ARTEC. Renewed this year by FIM EWC promoter Eurosport Events, the organisers of each FIM EWC world championship race and tyre manufacturer Dunlop, the EWC Dunlop Independent Trophy supports private teams using Dunlop tyres that do not get direct backing from a manufacturer.